A 6 meter diameter (19.7'; 5 wall) traditional-style yurt with relatively tall walls (180 cm/5' 11"). 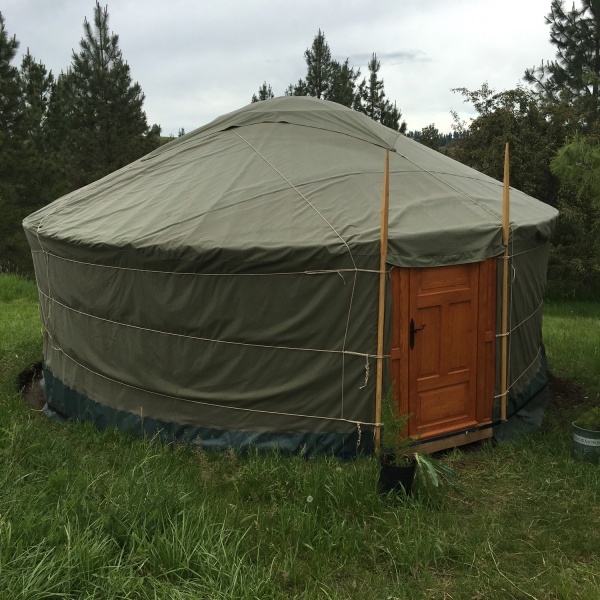 Made in Hungary by Adorjan Yurts--selected for use of the traditional form (easily movable) with centerposts (helps _a lot_ with snow/wind loads) and wide crown ring (170cm/5' 7" dia; lots of light!). Cost was ~$2900, plus $1700 for shipping from Budapest to Seattle.